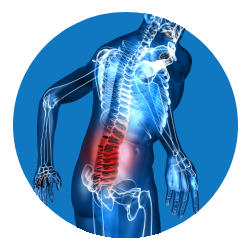 Most people experience low back pain at some point in their lives, which can be mild or severe. It can be short-lived or long lasting, but when it occurs it can interfere with your daily activities. Back pain differs from person to person. The pain can have a slow onset or come on suddenly. Sometime it may be intermittent or constant. It can be worsened by movements or accompanied by decreased range of motion or stiffness in the neck.Often back pain resolves on its own within a few weeks. Specific movement such as lifting or bending. Spinal Stenosis – pressure on the cord and spinal nerves. Pain extending from the back into the buttock or outer hip area, but not down the leg. Pain in the buttock and leg pain, even numbness, tingling or weakness right down to the foot. Physical examination is done to test your nerve function, reflexes at the knee and ankle, testing of sensation as well as strength testing. The treatment may include medications, physical medicine, and surgery. A combination of medications and therapeutic treatments often provide relief and help you continue with your daily activities. Surgery for low back pain must be considered when nonsurgical treatment options have been tried for over 6 -12 months, but with no positive result. Surgery is recommended if the source of pain is pinpointed, but again it depends on several health factors. This is a process of fusing two vertebrae, so that they heal into a single bone. Spinal fusion is an option when motion is the source of pain, but the results can vary from person to person. The goal of disk replacement is to replace the defected disk with artificial disk and allow flexibility in the spinal segment to maintain normal motion. Regardless of your age or symptoms, if your back pain does not subside within a few weeks, or if associated with fever, chills, or unexpected weight loss, you should consult your doctor.